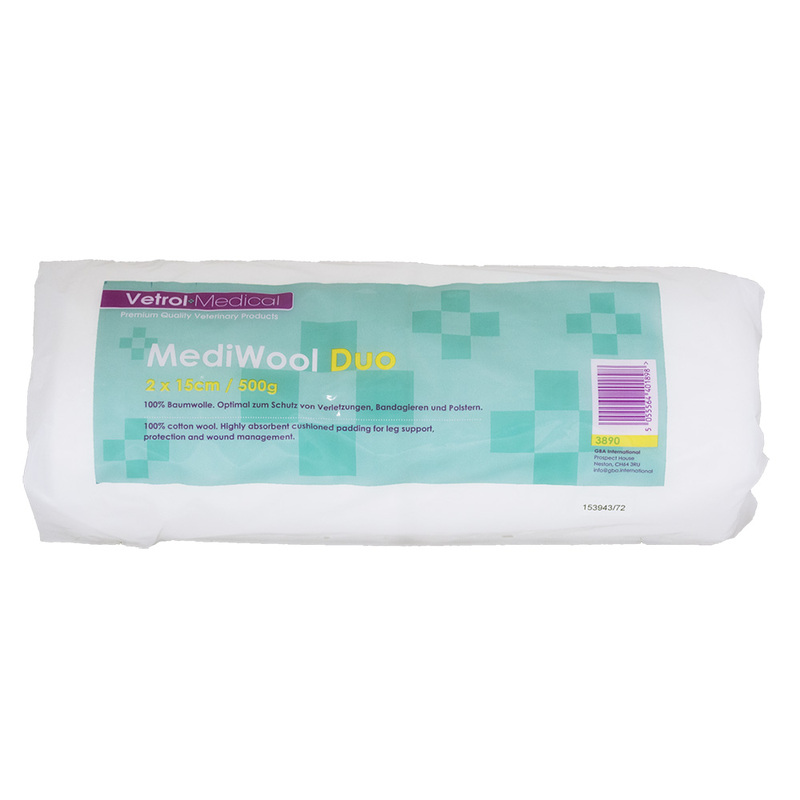 Vetrol MediWool Cotton Wool Split Roll contains two 15cm wide rolls, within one pack. With each roll being a shorter width, it makes it easier to apply when bandaging your horse's leg. It can also be used for cleaning wounds. Vetrol Mediwool is embossed, which means it has a consistent thickness, which helps to reduce the chance of there being areas of uneven pressure in the bandage.